Ideal for Motor Homes, Caravans, Hotels etc. Designed to slide freely but cannot be removed from rail. Excellent for people on the move- motor homes, caravans etc. Equally great for cloakrooms, hotel wardrobes and shop displays. Cleverly designed hanger that can't fall of the rail. Chromed heavy duty 3.5 mm steel. 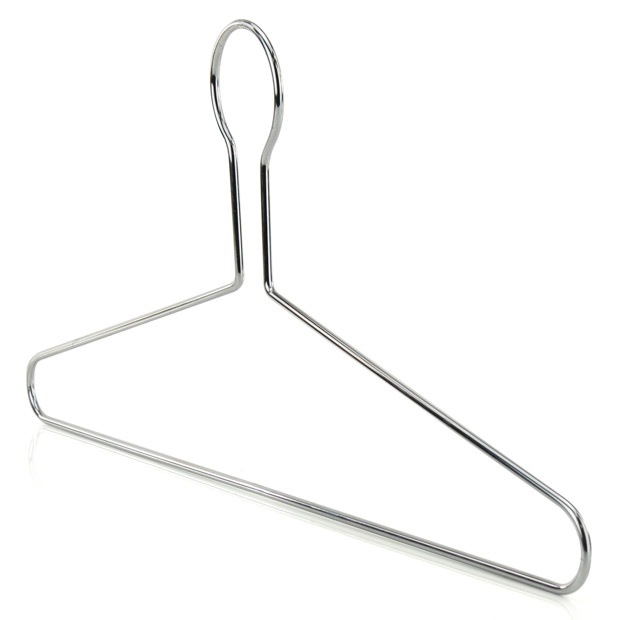 Simply slide the hanger onto the rail, then attach the rail to walls or wardrobe. Size: Width x Ring Diameter 43cm x 4.7cm (17"x 1.9") approx. Excellent quality products (which don't jump off the caravan rail!) and the delivery service was first class. Thanks.